At last count 29 dogs were killed in a tragic West Chicago fire. The fire started Monday morning (January 14) at D and D Kennels, at 2N441 County Farm Road, police said. Authorities responded to the structure fire at about 5:30 a.m. Heroically at least 20 dogs were saved. Some first responders even reportedly suffered bites in the process, as did a heroic citizen who saved some dogs. Firefighters arrived to see heavy fire coming from the second-floor windows of a two-story house, which had dog kennels attached to it on either side, according to a statement from the Carol Stream Fire Protection District. 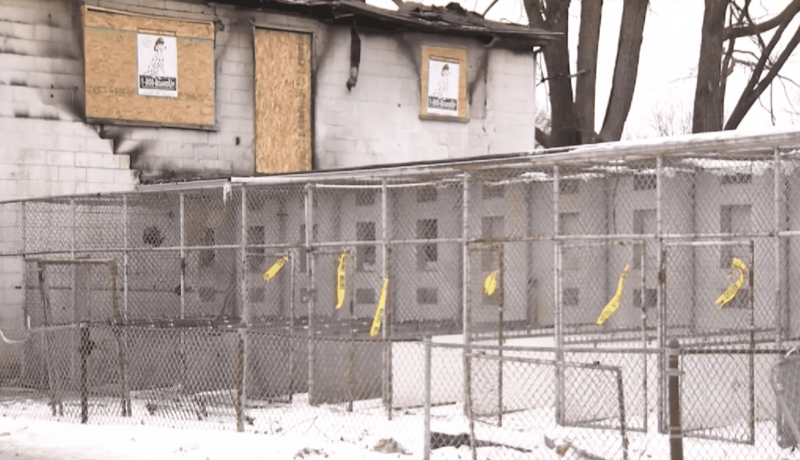 The facility was housing “approximately 50” rescue dogs at the time, many to be “rehabilitated” for behavior problems so they could ultimately be adopted. Kennel operator Garrett Mercado told reporters that he had left his apartment for a short time Monday morning and when he returned he saw a fire in the kitchen area of his apartment on the second floor of the kennel building. Mercado said his hands were blistered on the hot metal cages that housed some of the dogs he tried to save. The DuPage County Arson Task Force is involved with the investigation, according to the Carol Stream Fire Protection District. Surviving dogs have been brought to DuPage County Animal Control.